It is caused by acid reflux, which occurs when the ring of muscle that allows food into your stomach (the lower esophageal sphincter, or LES) relaxes when it shouldn’t. The result is acid from your stomach goes back up your esophagus, which then causes the sensation of heartburn. Think about it…its acid burning your throat…ouch! It’s actually possible to have reflux without heartburn, but it is not possible to have heartburn without reflux. While over-the-counter and prescription medications are available, if you suffer only from occasional heartburn, lifestyle changes and using these home remedies for heartburn may be the route you want to take. Baking soda, as sodium bicarbonate is more commonly known, can help your reflux and in turn help your heartburn because it is a base substance. Mix either a ½ teaspoon or 1 single teaspoon of baking soda into a glass of water that is no more than 8 ounces. Give it a good stir and drink all of the mixture. You can repeat this as needed but should not exceed seven ½ teaspoon doses in a 24 hour period. Also, avoid using this as a remedy for more than a week straight, as it is high in salt and can have side effects such as swelling or nausea. Aloe is a plant used to soothe burns, and people often think of using it to help something like sunburn, but it can do more than that. 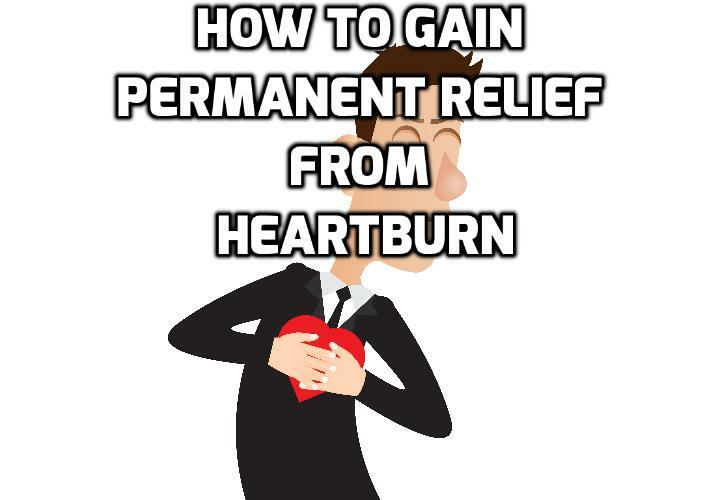 It may be able to help with heartburn too because it reduces inflammation. This means when your tummy starts getting irritated and inflamed, or your esophagus is getting eaten away at, a nice glass of aloe vera juice may be just the thing to help calm it down. The Journal of Dental Research conducted a study that showed people with symptoms of gastroesophageal reflux disease (GERD), or chronic heartburn, experienced relief when they chewed a piece of sugar-free gum for 30 minutes after a meal. This is because chewing gum stimulates the salivary glands, and increases the flow of saliva. Any acid that has built up in the gut is diluted and washed away or cleared out more quickly. The clearance of acid then improves the symptoms of GERD. It is possible that the same school of thought could be applied to occasional heartburn as well. It’s our regular saliva that we swallow that actually makes normal bouts of reflux here and there completely painless. Try elevating your head about 6 inches when you sleep by placing bricks, books, or blocks under the legs at the head of your bed. You could also try a wedge-shaped pillow under your mattress, but don’t simply pile up extra pillows as it’s easy to slip off of them at night. Don’t lie down within 3-4 hours after eating, because lying down with a full stomach makes stomach contents press harder against your lower esophageal sphincter. When you have acid burning your esophagus, it seems quite counterintuitive to ingest even more acid. It is the acid itself that tells the lower esophageal sphincter to tighten and close off. If you don’t produce enough acid, your LES is going to think it’s no big deal to loosen up for a little bit. Then of course, you get a reflux of acid into your esophagus. If you think this may be your case, try drinking some pure, raw, unfiltered apple cider vinegar to see if this prevents your reflux, or cuts it off. Mix 3 teaspoons, or up to 1 tablespoon, of apple cider vinegar into 6-8 ounces of fresh water, and drink. You can do this before each meal (probably the most effective,) before bedtime, or 2-3 times during the day. If you feel is worsens your reflux, do not continue to ingest it. Too much may also contribute to the problem. Bananas contain natural antacids that can act as a buffer against acid reflux. If you want to try out the simplest home remedies for heartburn first, try letting a few bananas ripen up nicely and eating one every day. It takes time, energy, and dedication, but tracking what triggers your heartburn may be what ultimately makes it go away in the end. Instead of going crazy with what you eat and relying on over-the-counter medications to keep the acid at bay, keep a little diary of sorts that makes note of what you ate, and if/when it caused heartburn. Things cinched tightly about your waist or middle can worsen heartburn. If you have super tight jeans on, when you sit down, the waistband is going to sink into your abdomen region. Same goes for tight belts-and even shirts can be a problem for some. This is because all of the above puts extra pressure on your lower esophageal sphincter, which make it more likely stomach contents, will push through and you’ll experience reflux. Smoking cigarettes and drinking alcohol can set you up for terrible reflux. The nicotine and alcohol both work to weaken your LES, making it that much easier for stomach contents and acid to splash up into your esophagus. Alcohol is also going to irritate your stomach in general. The solution? Quit smoking, and drink less (if at all.) Doing both will improve your health overall, in addition to relieving acid reflux. Being overweight increases your risk of GERD, and you’re going to suffer from occasional heartburn a lot more as well. This is because unnecessarily added pounds will put pressure on your lower esophageal sphincter. It will be more likely to loosen, and overtime it may simply weaken. Mustard is an alkalizing food that is full of minerals, and contains a weak acid in the form of vinegar. Consuming mustard straight, while it may make you grimace at first, may ultimately end up making your smile. Because of its alkaline properties, it will help neutralize the acid that may come creeping up your throat, and therefore may neutralize the pain of acid reflux. It seems to be the most helpful if you’re feeling a bout of heartburn creeping up, or if you’re in the midst of one. A natural remedy for heartburn from Reader’s Digest, eat some almonds after every meal, every snack, every time you ingest something basically. Try to track down organic almonds if possible. These tasty nuts do something to seemingly neutralize the juices in your stomach, relieving and preventing some instances of heartburn. Directly after every meal, every snack, basically every time you ingest something, eat 3-4 almonds afterwards. There’s no need to eat more, unless of course you want to munch on some more. But keep in mind that in excess some people have found almonds trigger heartburn, kind of like how they help tension headaches but can trigger migraines. Having a spot of chamomile tea about ½ – 1 hour before you plan on going to sleep can help reduce inflammation in your stomach, and possibly balance out the acidity levels as well. Chamomile tea also does wonders for relieving stress, which can trigger acid reflux, and will help you sleep through the night as well. You can use instant chamomile tea, or you can easily make your own fresh. Boil one cup of water in a cooking pot, and then reduce the heat. Stir in 1 teaspoon of dried chamomile petals, and let them simmer for 45 seconds. Remove from heat and let the petals soak for another minute or two before straining them. Pour the tea into a mug, and add a bit of honey or lemon if you wish. I paused and then said “like, there are actually flames around your heart?” My babysitter nodded solemnly. Now, of course, I know better than that, but it’s still called heartburn for a reason. The searing, burning, pain does indeed feel like someone lit a fire in your chest, and let the flames spread to your throat. Certain medications may quell the discomfort, but they can have long-term side effects, create dependency, are hard on your system, and often times aren’t even necessary for occasional acid reflux. It may be awhile of trial and error when using these natural remedies for heartburn to find what works best, but in the long run, it’s well worth it. To learn about other natural remedies for heartburn, watch this Video HERE. If You Always Get Heart Burn and Acid Reflux. THIS Is The Reason Why and How To Treat It Naturally..